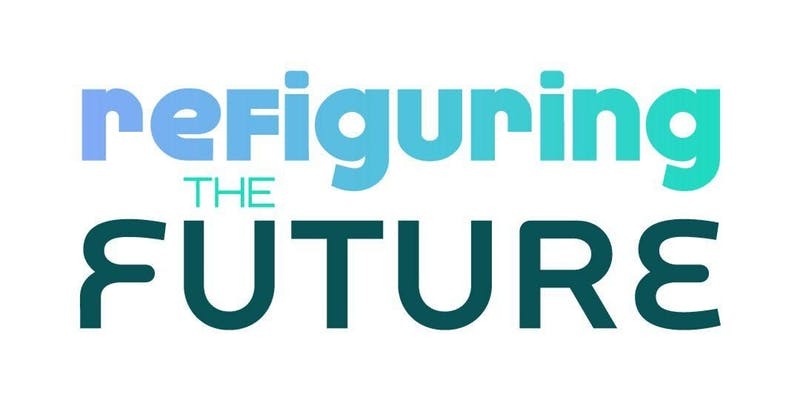 Refiguring the Future will open with a two-day conference that will convene 500 participants and provide space to build community, learn, and share ideas. Unpacking the key frameworks within the exhibition, the conference grapples with the marginalizing states of technology in order to propel us to envision formative futures. Reserve your seat now for two days of talks, hands-on learning, performances, screenings and more across two incredible venues! The Refiguring the Future conference convenes an array of artists, educators, writers, and cultural strategists to envision a shared liberatory future by providing us with collective imaginings that move beyond and critique oppressive systems to offer alternative possibilities. Keynotes speakers include: Thenmozhi Soundararajan, Keeanga-Yamahtta Taylor, and Zach Blas. Featured participants include: micha cárdenas, Taeyoon Choi, Sofía Córdova, Jaskiran Dhillon, Kadija Ferryman, Shannon Finnegan, Anneli Goeller, Kathy High, shawné michaelain holloway, In Her Interior (Virginia Barratt and Francesca da Rimini), Yo-Yo Lin, Maandeeq Mohamed, Rasheedah Phillips, Sofía Unanue, Alexander Weheliye, and Pinar Yoldas (list in formation). The first day of the conference will consists of keynote presentations and panel discussions while the second day will feature a series of community-engaged programs and workshop sessions. The Refiguring the Future conference is co-organized by Eyebeam/REFRESH Curatorial and Engagement Fellow, Lola Martinez, and REFRESH collective member Maandeeq Mohamed. In an effort to keep the conference affordable for all participants we are offering a range of ticket options and we encourage you to purchase at whatever level works for you! All tickets are for general admission entry and cover activities across both venues as well as coffee, tea, and lunch on each day. View full conference schedule here.